Today is officially the last day of summer which means football is back! Admittedly I’m new to the world of football since I met my husband, a diehard Bengals fan, three years ago. However, I’ve always been a fan of tailgating and tailgating/game watching food. Everyone, whether they’re watching football or not, loves a good dip and today’s hot, baked cauliflower artichoke dip won’t last long at your party. 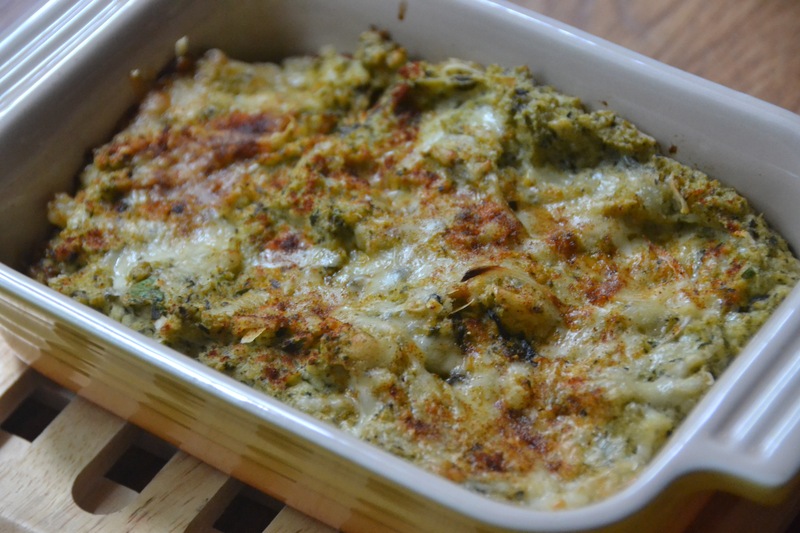 I promise it’s delicious, like a healthier cousin of your favorite artichoke dip! 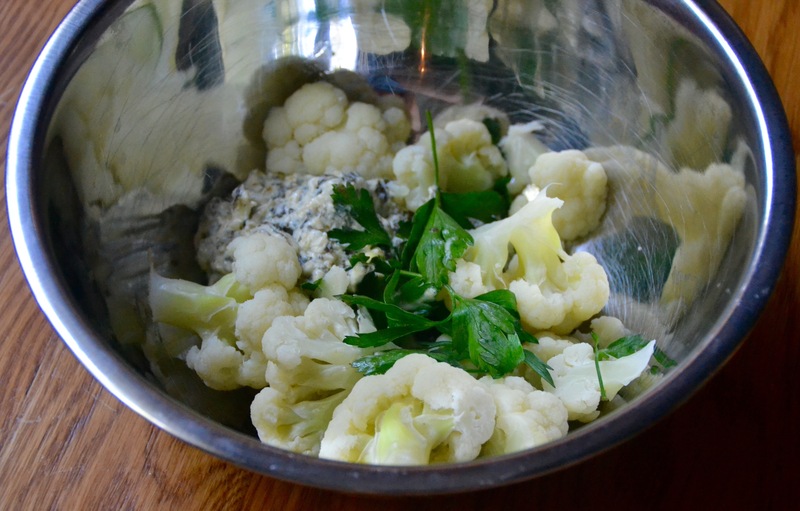 The steamed cauliflower has a creamy texture and the addition of a cup of spinach and artichoke dip makes for a flavorful, smooth and rich spread. It’s great with veggies or crackers, and also works on its own as a side dish for dinner (or hot dish as my Grandma would say!) We ate this with some sirloin (while watching a Bengals game, of course!) You can make it ahead and just bake it when you’re ready to serve. This recipe is sponsored by La Terra Fina, a San Francisco based company that makes delicious and natural (free of artificial flavors and preservatives,) dips, quiches and baked treats. You may have seen their dips at Costco and many of the new Greek yogurt dips are also available in specialty grocery stores. You can search for a store near you here. To celebrate the beginning of the fall and football La Terra Fina is giving one of my readers away a prize pack of two Greek yogurt dips. You can enter via the Rafflecopter link or leave a comment on this post, or shoot me an email if you’d prefer (sallymacncheese@gmail.com) The giveaway is only open to U.S residents and one winner will be randomly selected in a week on September 29. If you’re the winner I’ll get your address so La Terra Fina can ship the dip to your door. Thanks for entering and happy fall! Click here to enter The contest is now closed and the winner (QP!) has been contacted. Thanks to all who entered! favorite with everyone. I haven’t tried this brand—looks like it can be served cold or baked.